In a time when school budgets are limited, protecting the investment in ICT is very important. When SchoolCare quote schools for their new hardware, we will wherever possible include a minimum of a 3 year warranty and where possible offer an extension to 5 years. Most interactive displays now come with a 5-year onsite warranty as standard that covers install and re install of the hardware. This ensures that all components in the display are covered for the expected life span of the unit. Onsite warranties offer complete peace of mind to schools investing their budget in ICT, ensuring that faults will be dealt with quickly and professionally. Most laptops and PCs come as standard with a 1-year return to base warranty with the option to upgrade to a variety of warranty extensions. The most popular upgrade being a 3-year onsite warranty from the manufacture where an engineer will go to site and resolve the issue once remote diagnostics have been undertaken. SchoolCare are partnered with manufactures that not only have robust and reliable hardware for education but also have excellent after sales support. 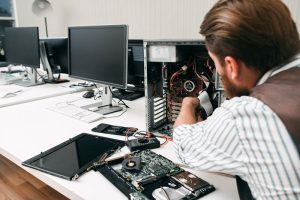 Sometimes things do go wrong and therefore we recommend that schools consider buying extended warranties to cover their IT investment and giving the school peace of mind. Education customers usually get great discounts on extended warranties making this more cost effective for the school. SchoolCare will always quote for manufactures warranties were possible. We do not quote for third party warranties unless specified. Manufacture warranties cover hardware failures during the given warranty period. Warranties shouldn’t get confused with insurance policies. In most of cases warranties do not cover accidental damage or theft. Some manufactures offer accidental damage protection as an additional upgrade but usually this would be covered under the school’s insurance policy*. Contact SchoolCare today to discuss your new Laptop or PC upgrade along with the extended warranty options available.